Maybe I should have written "... that fits more than your need", because this bag is more roomy than you might think, from the looks of it. Happy Friday everyone! So today I'm sharing a post with you guys, on this bag I purchased a couple of months back. This bag is from the Danish brand Núnoo and the name of this exact model is Alimakka. 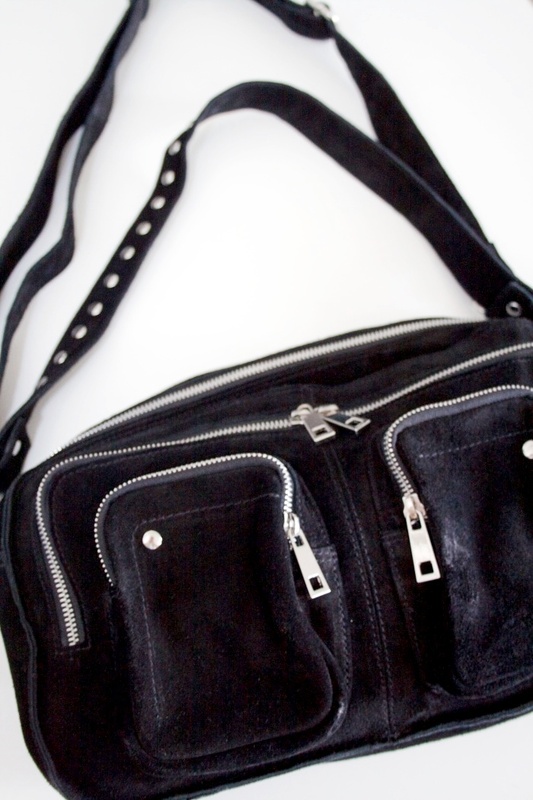 My bag is in black suede leather, but it also comes in several other colors and in normal leather. 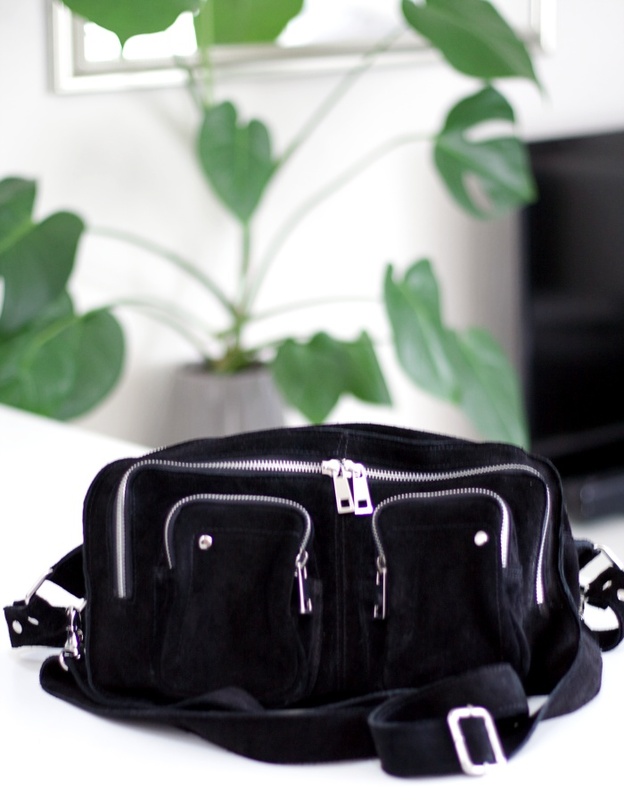 It's made of a beautiful sturdy suede material and has ton of compartments - two small ones in the front, a medium one in the middle and a big compartment in the back, with two small pockets inside for your phone, lip balm or whatever. 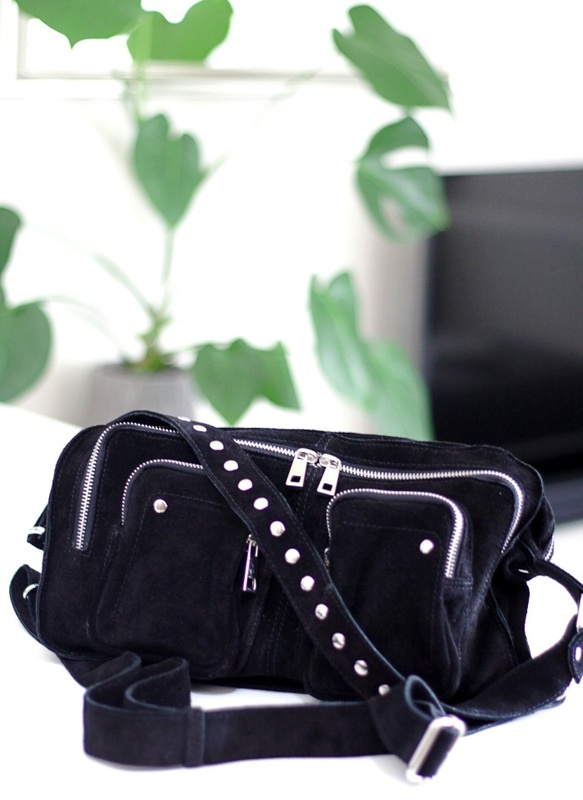 It comes with a long crossbody strap, you can change the length off and with a smaller shoulder strap with studs on. I was definitely in need of a bag that wasn't small, but not too big either and this bag is a good medium-large size and fits my needs perfectly. In this bag you can carry everything you need, except for your computer, but it fits an iPad and it would work amazingly for everyday or as your handbag when you're travelling. You can even throw in a water bottle, snacks, a scarf and headphones. If you're interested in purchasing this bag, you can buy it on nunoo.dk. Direct link to the bag I have is HERE.